It’s probably not a good idea to coddle the hideously disfigured crime lord you work for, even if you are his right hand man. Maybe there should be a godmother of crime. 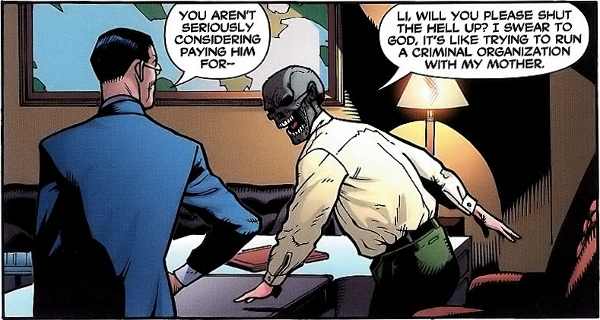 This less-than-flattering moment in Black Mask‘s criminal career comes to you by way of Batman #638 (May 2005) by Judd Winick, Doug Mahnke, and Tom Nguyen.